It’s equally inspiring and terrifying. And I promise, it’s much more exciting than it sounds. 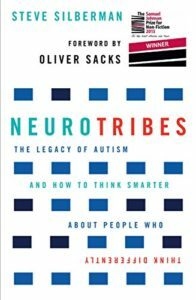 When Steve Silberman started writing Neurotribes, many people thought it was because he had an autistic relative. But no…he didn’t have any personal investment in the plight of autistic people. Rather, he is a professional medical writer. And when he researched autism, he saw one of the most fascinating–and misunderstood–stories in medical history. And he decided that the story deserved to be told accurately. 1) Autism was never a rare condition. 2) Autism is not caused by vaccines, or by bad parents. 3) Autistic people offer valuable ways of looking at the world, and have contributed in world-changing ways to technology, scientific research, and the arts. To clarify, the book is not primarily about the alleged connection between vaccines and autism. But in understanding the history of autism research, it will become clear why so many people in the UK and USA were convinced that vaccines caused autism. 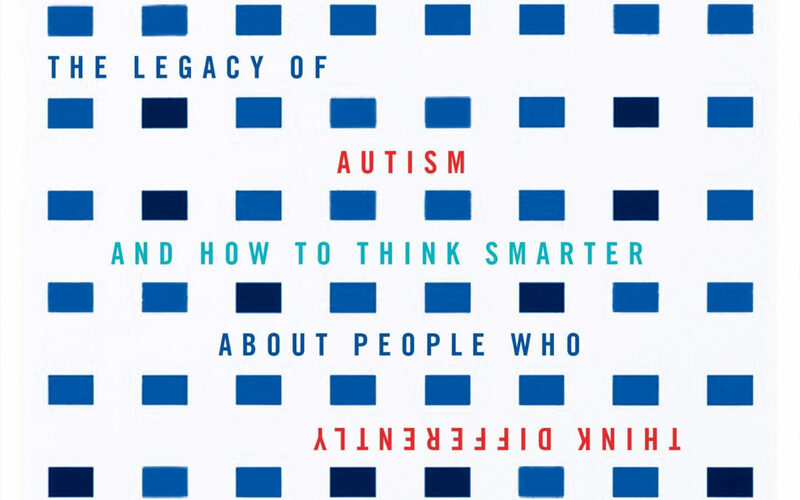 The first successful autism researcher was Hans Asperger. He had a tremendous program in Vienna, Austria, that enabled children with autism to lead much happier lives. Despite Asperger’s extraordinary efforts to save these children from the Nazis, Asperger’s program for autistic children was eventually shut down. These children were used in medical experimentation as guinea pigs for the Aktion T4 program. They were the first among hundreds of thousands of disabled people used–and then killed–by Nazi scientists. Asperger’s research was destroyed, and his legacy was ruined. Today, many still accuse him of being a Nazi supporter, despite his heroic work to defend autistic children. Tragically, Asperger’s work was ignored, and was followed by several decades of misguided and harmful ideas related to autism research. The main purpose of the book is to show how harmful this research has been to autistic people and their families. But the book also introduces dozens of autistic people, whose scientific, technological, and artistic contributions have changed the world. There’s no need to terminate the lives of autistic people. Sadly, vast resources have been expended on research that doesn’t respect them as valuable members of society. This includes prenatal testing for autism, which was developed primarily in order to prevent them from being born. There’s no need to justify or apologize for their differences. Regardless of disabilities–or of different abilities–we are all human, and make each other’s lives richer, not poorer. It’s 560 pages, but you won’t lose interest listening to the incredible stories. But, pro tip, it’s a lot easier to listen to it on Audible: NeuroTribes The Legacy of Autism and the Future of Neurodiversity.